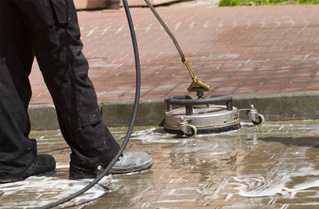 Our specialist jet washing cleaning equipment can clean all of your outside surfaces. No job is too big or small from small patios, home driveways to large factory premises. Whatever the material we can restore your surfaces to their original condition to make your property look its best using our specialist equipment. To discuss your requirements make our team your first choice for local service and a quality finish. Call us today on 0800 470 2066.